What Do You Need to Know for Deer Season? 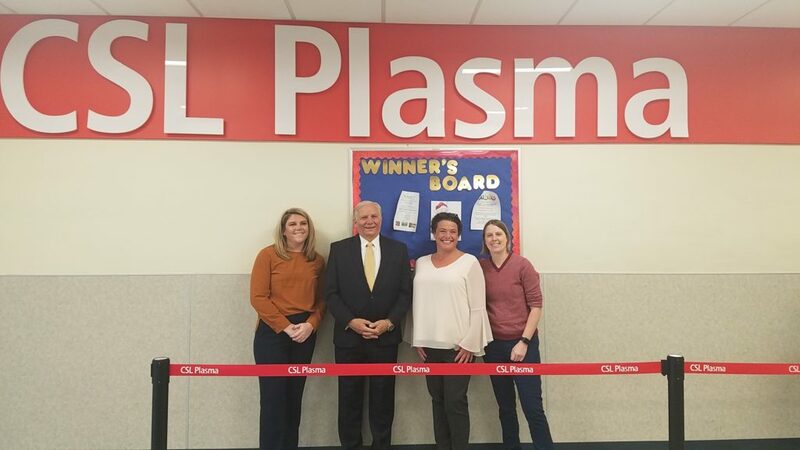 November 20 – Senator Mensch toured the CSL Plasma Center in Philadelphia. This edition of the Mensch Report features my annual Senator for a Day program which was held on October 12 at The Perkiomen School in Pennsburg. The Low-Income Home Energy Assistance Program (LIHEAP) application period for the 2018-19 LIHEAP season is still open. LIHEAP provides assistance for home heating bills to keep Pennsylvanians with lower incomes warm and safe during the winter months. Assistance is available for renters and homeowners. DHS began accepting crisis and regular LIHEAP applications on November 1, 2018 and will continue accepting applications through April 12, 2019. Returning LIHEAP customers from the 2017-18 LIHEAP season are also able to apply through the myCOMPASS PA app available on the Apple App Store or Google Play. Returning customers should have received a green postcard with an access code to apply via the app. If you received LIHEAP during the 2017-2018 season, there may be funds available for you in addition to LIHEAP Cash and Crisis to halt a shutoff or shutoff notice. Applicants should talk to their caseworker about what help they may be able to receive. Online applications for LIHEAP can be completed at www.compass.state.pa.us or on the myCOMPASS PA mobile app if you received LIHEAP during the 2017-18 season. Paper applications are available through local county assistance offices, or interested applicants can download and print an application from the department’s website. 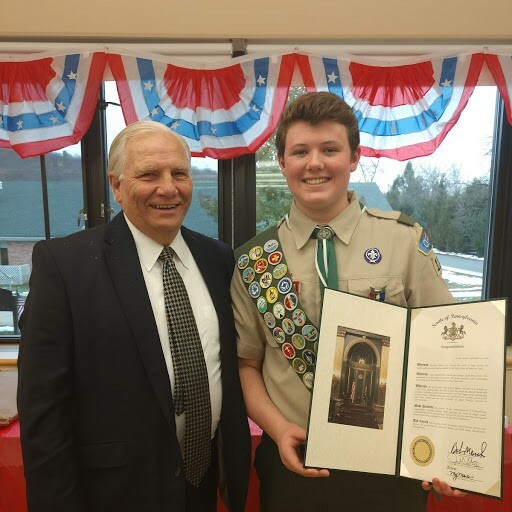 November 18 – Senator Mensch congratulated Nicholas Bakey on his Eagle Scout Court of Honor. Income eligibility limits for PACENET are increasing to provide coverage to an additional 17,000 Pennsylvanians who are aged 65 and older with a minimum 90 days state residency, according to the Pennsylvania Department of Aging. The PACENET expansion, extends coverage to singles with an income between $14,500 and $27,500 and married couples earning between $17,700 and $35,500 who are not enrolled in the PA Department of Human Services Medicaid prescription benefit. 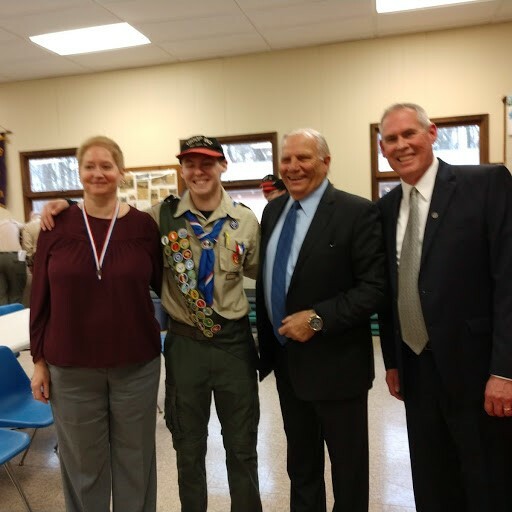 November 24 – Senator Mensch congratulated Alexander Hotchkiss on his Eagle Scout Court of Honor. The 2018-19 Pocket Guide of the Hunting and Trapping Digest is available online for your printing convenience onto 8 1/2” by 14” paper. Tucked in a pocket, this format provides a quick reference on fluorescent orange requirements, seasons/limits, general hunting regulations, Wildlife Management Units, and contact information for reporting your harvest.